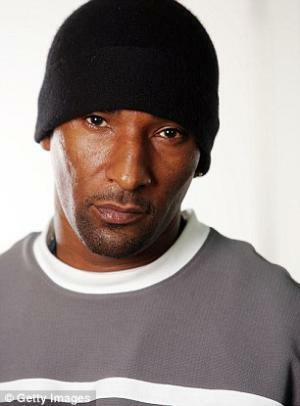 Cle Shaheed Sloan was born on 22 May 1969, in Los Angeles, California USA, andis an actor, director, and activist, best known to have worked on reforming the Athens Park Bloods. He’s also appeared in several films, including “Training Day”, and “Tears of the Sun”. All of his endeavors have helped put his net worth to where it is today. How rich is Cle Shaheed Sloan? As of early-2017, sources inform us of a net worth that is at $50,000, earned through success in several endeavors. He is the director of the documentary “Bastards of the Party”, and also starred in the film “Street Kings”. As he continues his career it is expected that his wealth will increase. Sloan started being known for being a member of the Los Angeles street gang, the Athens Park Bloods. During his time with them, he tried to reform their culture and put an end to violence. It worked, putting an end to the gang’s violent acts. His friend, football legend Jim Brown would introduce him to a job in the film industry, and he started getting involved and interested in cinematography when he met director Antoine Fuqua. Since then, he’s appeared in Fuqua’s films, mostly in small roles, including “Brooklyn’s Finest”, “Tears of the Sun”, and “Training Day”. He worked as a gang adviser during the production of “Training Day” to help give a lot credibility to the on-screen portrayals of gang members. His net worth started to increase at this point. In 2006, Sloan appeared in the documentary “Bastards of the Party” which he also directed. The film was featured in the 2005 Tribeca Film Festival and the 2006 Hollywood Black Film Festival, and would get a television airing through HBO the following year. The documentary is about the creation of Los Angeles gangs, the Bloods and Crips, and was an effort to provide solutions to gang problems, and oppose gang violence. Sloan has also been featured in television shows such as “Anderson Cooper” and “The O’Reilly Factor”, mainly to talk about his nonprofit organization. In 2008, he starred in the film “Street Kings” alongside Keanu Reeves and Forest Whitaker. The film was written by James Ellroy in the late 1990s and was directed by David Ayer. He also appeared in the 2012 film “End of Watch” which starred Jake Gyllenhaal. Sloan was part of the television project “Southland” playing the Los Angeles pimp Ronnie. All of these opportunities have helped in building his net worth. For his personal life, his private life is just that, with few details aside from those mentioned above. It is known that Sloan created the nonprofit organization called AKTIVE which aims to help change gangs. He’s been working with various gangs in communities around the United States. He hopes to change these gangs from the inside as he mentioned in interviews. In 2015, he was injured in a hit-and-run accident which was allegedly caused by Suge Knight, who turned himself into the police the next day, and he is still in prison with a murder case ongoing.